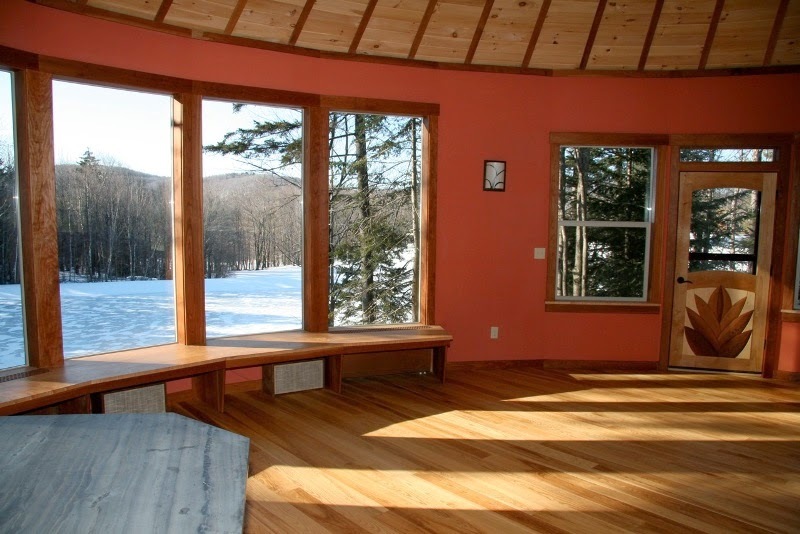 We decided our first yurt would be from Smiling Woods Yurts. 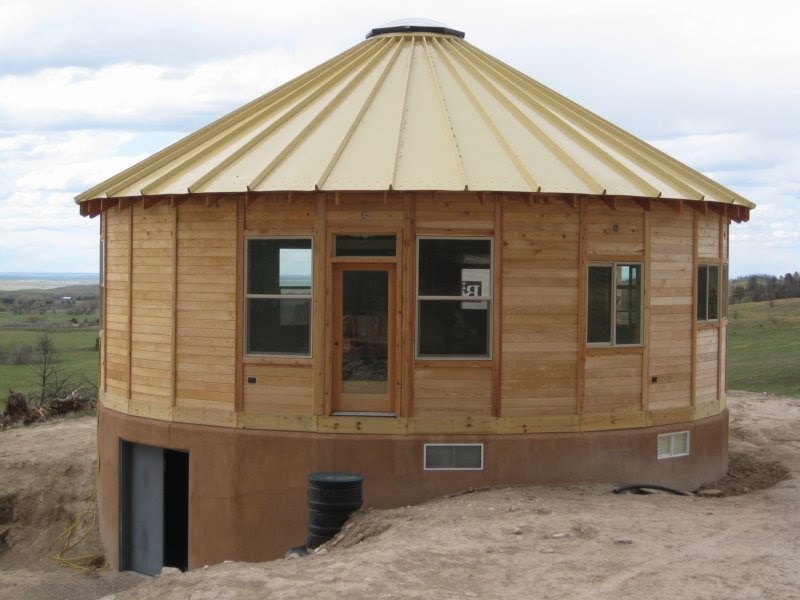 If all goes as planned, we hope to be having a yurt rising in October 2014!!! We are planning a trip to Eureka Springs to mark the build location and meet with everyone that needs to do work on the property to get the site ready. Here are some pictures of Smiling Woods Yurts. The first one show the type of windows we are going to put in the living room. 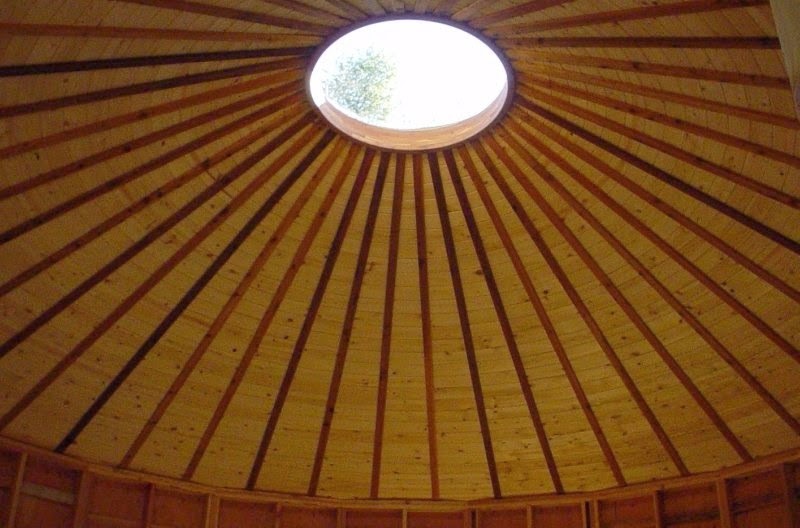 The yurt we are getting will have an exposed wood ceiling like the other pictures below. Exposed wood ceiling and 5′ skylight. Exterior view. Ours won’t have a basement. No interior surfaces are included in the kit. You can buy the complete kit which includes the wall panels (including the windows and doors) and the roof kit, or just the roof kit. (The roof kit includes the skylight, skylight ring, rafters (ribs from the rink to the top of the walls), and the metal roof panels. It does not include the ceiling. As you can see from the pictures above, the first cabin has a sheetrock ceiling. You will also provide the insulation (I Highly recommend spray foam insulation). The wall panels come with the exterior western cedar and the interior is completely open so you can install your wiring for the interior. Greetings, you mentioned on your other page that it took you 5 people and 8 days to complete the roof. It looks like you are cutting the pieces yourself, however, the front page says you went with the smiling yurt which I thought the roof was pre-made and thus I would think that would not take 5 people and 8 days to erect. Can you clarify this, please? Also, are you still happy with your choice? I’m seriously considering this company. 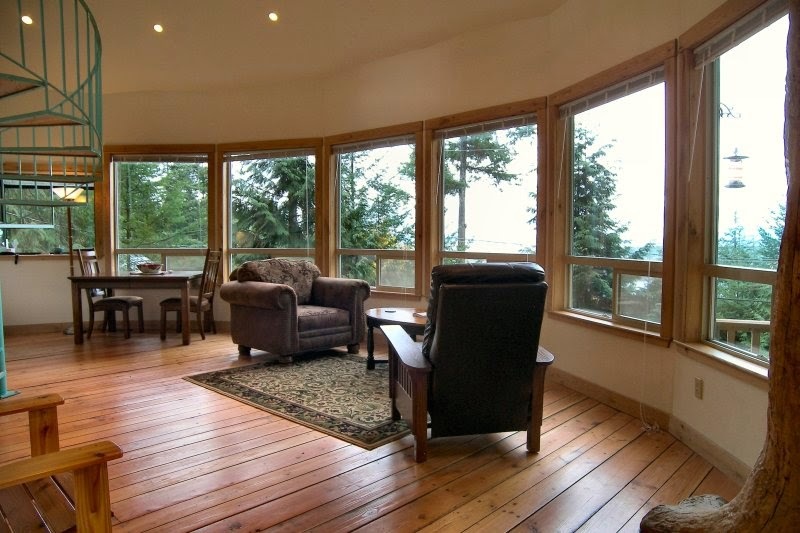 I love the wood sides and massive windows!